Parking: Park on Komo Mai Dr. by trailhead at the end of the road. What to expect: Waimano Pools is a slippery but rewarding hike. Waimano Pools has two major waterfalls, with one deep enough to jump into. The trail begins at the end of the culdeesack on Komo Mai Dr. in the Pacific Palisades neighborhood. Do not start at the Waimano Ridge entrance. 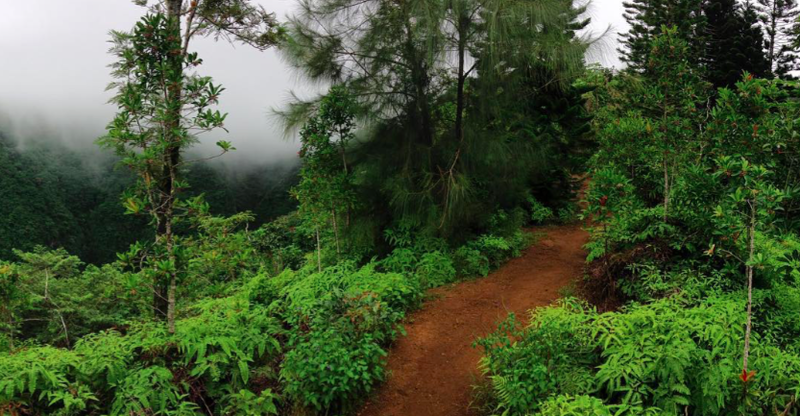 Follow the Mañana trail about 3/4 mile until you reach a distinct downhill trail with a sign pointing to Waimano falls. Follow this dirt trail down the hill for another mile. Be sure to stay on the path and you will end up at Waimano Pools. Once at the pools, jump in and enjoy! !